RingBoost is a service that provides users with vanity phone numbers for marketing, service, and operations. Its features include personalized numbers, call recording, number blocking, and more. In this article, we covered user reviews and pricing. Ready to get started with RingBoost? Visit their website. As of the date this article was written (12/07/2018), there are a few up-to-date positive RingBoost user reviews online. However, some users commended its excellent customer service. One user who gave RingBoost a positive review on Facebook said that it offers a large selection of vanity phone numbers at an affordable price. She also mentioned that their customer support team is very helpful in addressing her concerns. There are no negative reviews of RingBoost available online as of this writing. If you are a past or current RingBoost customer, leave a review to help other business owners who are deciding whether or not to use the RingBoost. RingBoost offers three subscription plans for Local Number services: Starter ($12.99/month), Preferred ($24.99/month), and Premium ($49.99/month). The main difference between the plans is access to premium features such as caller analytics and HD video conferencing. Toll-free vanity numbers are offered at $14.95-$19.95/month and local numbers start at $99. RingBoost also offers a Shared-Use plan, which allows users to create a license for a premium number. These numbers may only be accessible within a specific service area. Price ranges from $50 to $200+/month, depending on the combination of phrase and region. There is also an option for bundled pricing and discounts for long-term contracts. Ready to get started with RingBoost? Visit their website. A vanity number is a custom telephone number based on a memorable word or phrase. It allows users to increase their brand recall by displaying a specific aspect of their business/product within a selected vanity phone number. How can users acquire a vanity phone number? 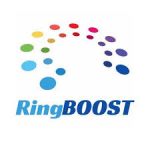 RingBoost provides vanity phone numbers that are listed in a database from its website. Users can choose their most preferred number, buy or license it (online or over the phone), and get started after 1-2 business days.